The animals were filmed in their natural habitats in Costa Rica, with the exception of the crawling baby turtle, which was created entirely in CG. Many locations around Costa Rica were used to showcase the different fauna and scenery that can be enjoyed. Director Rob Petrie and the Mill+ team created CG singing mouths and Toucan beaks. Each scale on the CG baby turtle was meticulously sculpted and then animated to integrate with the real animals. 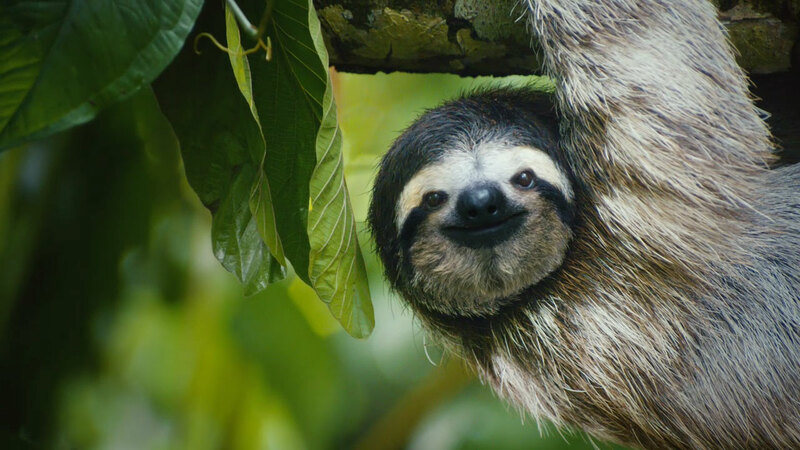 CG Artist Jeff Lopez comments: "The sloth was the center of the spot, seen at the beginning and the end. We paid close attention to matching the CG fur on his face to the rest of him. Once we had the edit, we lip-synced to the tune and lyrics he sang. His cuteness will melt your heart!" The video is the centerpiece of the campaign and will run online and in cinemas. Learn more about the effort to save overworked Americans from the concrete jungle at Costa Rica's "Save the Americans" website.